Ep 285: TAKE ACTION NOW!!! - What are you waiting for? Ep. 266 Having Trouble Focusing On Your Goals? Matt Faircloth Shares How Building the Right Team Could Help! 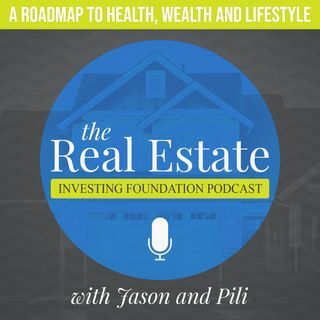 Welcome to the Real Estate Investing Foundation Podcast! A roadmap to wealth, health and success through real estate by providing the steps (and missteps) we are taking to get there. Featuring amazing advice and feedback from top industry professionals! Learn how they got started investing and built their businesses from the ground up. ... Maggiori informazioni Get actionable steps you can take today to begin crushing it with real estate or make your growing business perform at the next level !! !